Finally astrophotos with brilliance and sharpness: This dream of every astrophotographer becomes true with this apochromat. The triplet air gap lens with OHARA glass from Japan, provides a clear picture with sharp stars to the edge. 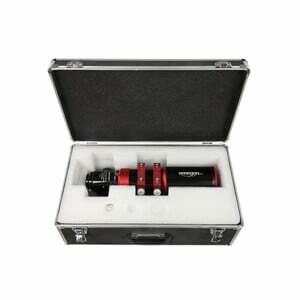 Even at high magnifications you will experience ultra-strong contrast. Get this master photographer on board, because he is available for any astrofotographic mission. 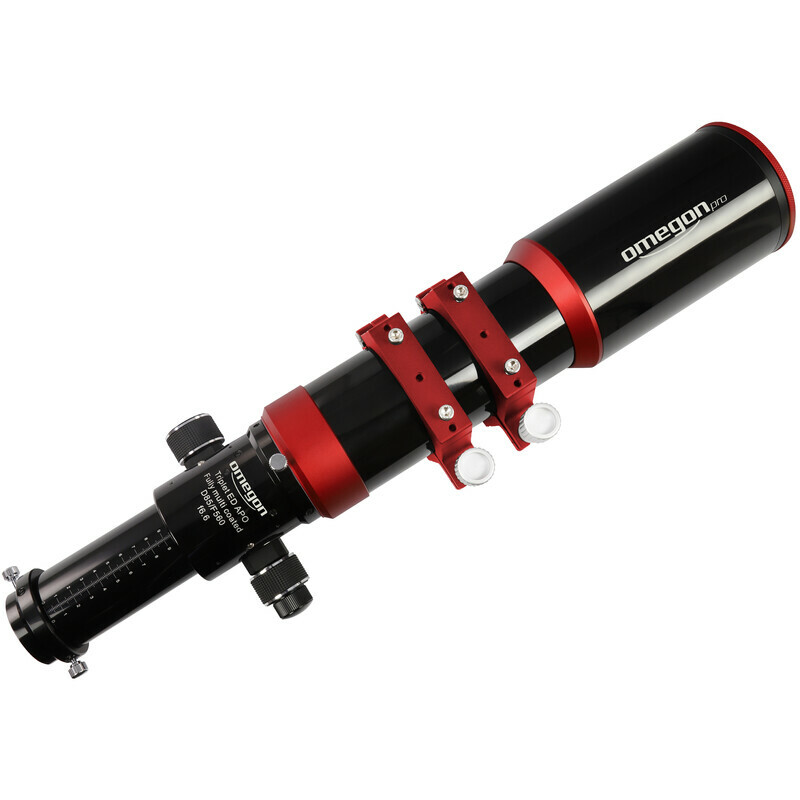 When you look at a planet with this apochromat, it offers you nothing less than an absolutely stunning experience. Compared to most mirror systems, you'll discover more details with better contrast - a planet that just looks sharper. Of course, what applies to planets, you also see in star clusters or other deep-sky objects. 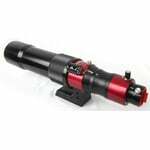 The reason is one of the best optical systems we know. 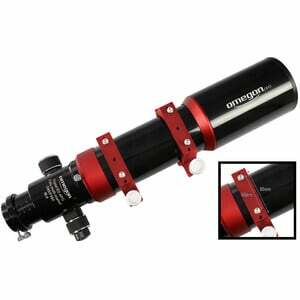 Thus, this refractor sets the basis for captivating beautiful and exclusive astrophotos. 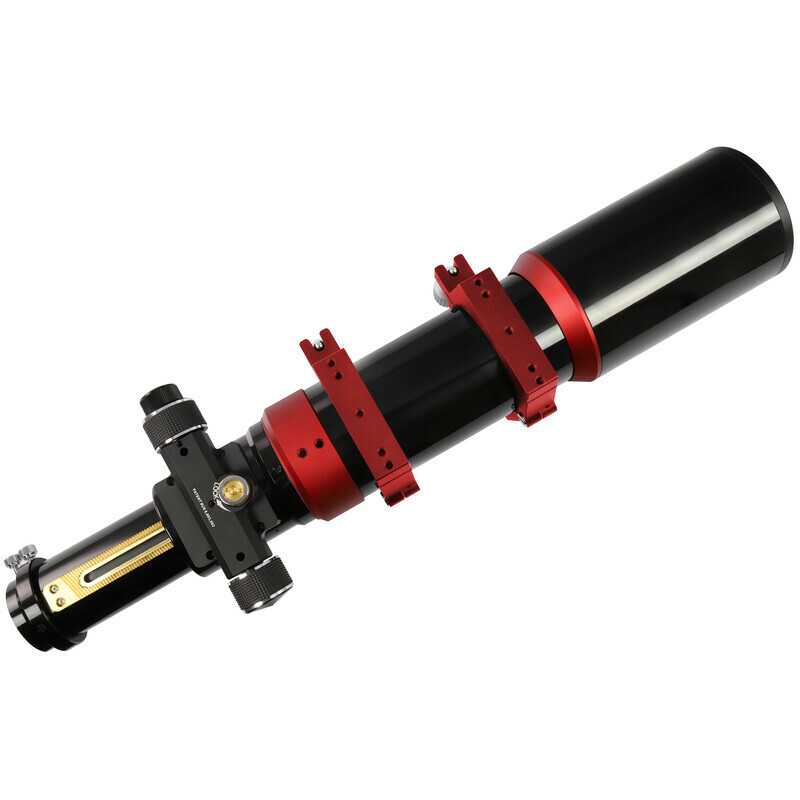 Compared to mirror systems, the image definition of Apos is much better, because they do without obstruction and the associated deteriorated intensity distribution in the diffraction disc. 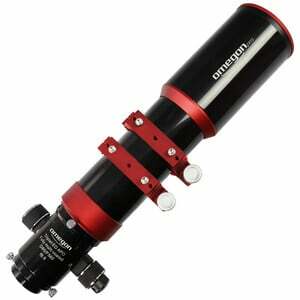 Especially with low contrast differences, the refractor is an unbeatable instrument. 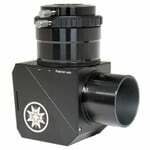 The 2 "focuser is the perfect connection to your camera.The design is ingenious: a hybrid of a Crayford and a diagonal pinion, which means: Whole 6 kg carrying capacity and totzdem a soft focus with plain bearings to turn by simply turning the perfect focus point The pull-out has a back focus of 175 mm and an adjustment range of 95 mm. 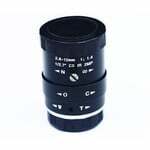 The focusing of the objects happens in two different ways: over the coarse drive and the 1:10 micro reduction. With this fine drive, the objects can be focused much more accurately. Especially astrophotographers know the problem: As soon as you think you have reached the sharpness, you shoot past the target. However, the reduction ratio is mechanically so precisely made that it responds to minimal changes and you find the focus. 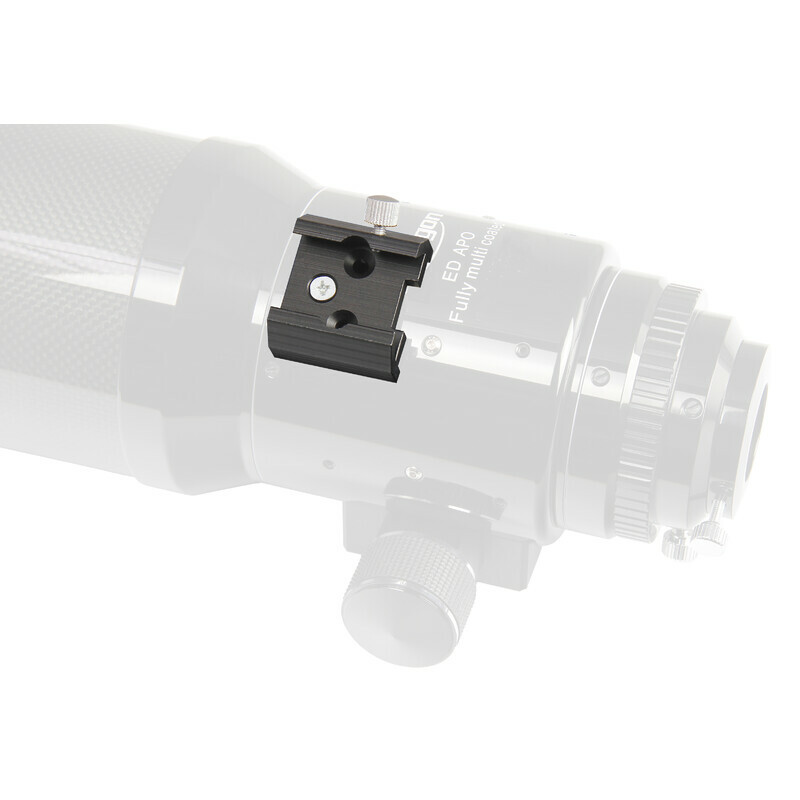 The focuser has a standard 2 "connector with a 1.25" reduction. 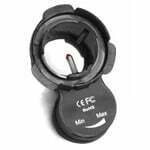 This will connect all accessories from our range, such as eyepieces and adapters. 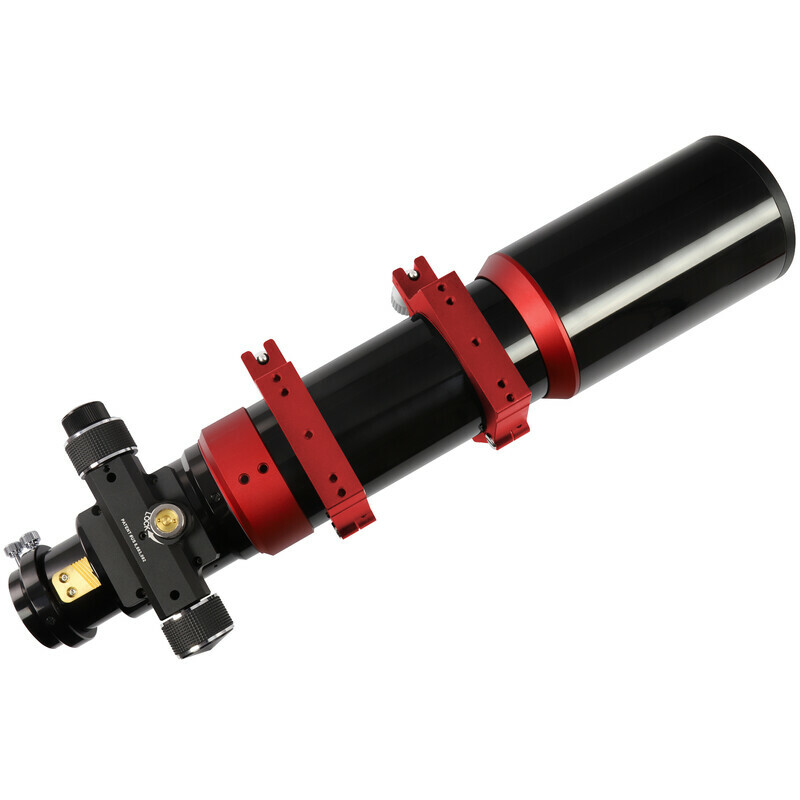 The tube of the Omegon Apos consists of a CNC-machined metal construction with a sophisticated glare system against reflexes. The complete tube was lined with a velvet-like, black fabric. A trip to Namibia or an astro excursion to high levels: Observers like to go to special and dark places. 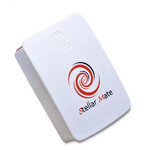 This compact Apo is a perfect travel device for astrophotographers who expect the best from their looks. With only 44 centimeters in length, the Apochromat accompanies you to all dark places.